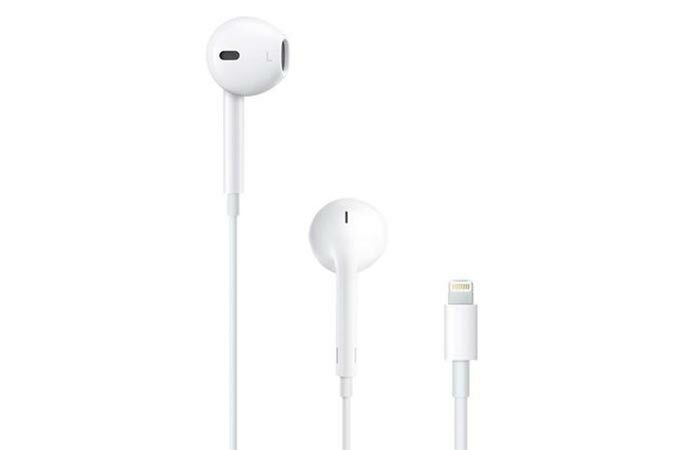 With the release of the iPhone 7, Apple decided to ditch the standard 3.5mm headphone jack. The idea was to reduce as many ports as possible, and the audio jack is something that hasn’t changed for the last 50 years. So, what is the future then? Folks who want to upgrade their phone will use Apple’s proprietary Lightning connector or go wireless. This doesn’t come as a shock since in December of last year, 75 percent of headphones sold online were wireless. This was the perfect time for Apple to launch Lightning EarPods with the iPhone 7 and iPhone 7 Plus. Since they wanted to give you time to cross the bridge to the next technology, they also offer an adapter that allows you to still use your old headphones. One of the most important advantages of the Lightning connector is that it provides high-res 24-bit audio, while before you only got 16-bit. We made sure to include some of the best iPhone 7 Lightning Headphones in the list below, so do us a favor and check it out. Of course, the first ones are those you get with the iPhone 7 and can be used with all other Apple products. Besides the connector, these headphones have a different design than what we got used to. Instead of typical earbud-style, they designed a shape that goes along with the geometry of the ear, increasing comfort. Also included is the built-in remote that allows you to do a variety of activities like answer and end calls, control music and video playback and adjust the volume. Modernly designed headphones that minimize distortions and provide accurate hi-res sound. One more pair of headphones made with an innovative design. It includes exclusive magnet technology that delivers precise control and fast response times. This also means the distortion is less than 0.1% overall even at high volumes, which is an impressive feature for in-ear headphones. The CIPHER Lightning cable includes a high-quality inline amplifier, digital-to-analog converter, and DSP that deliver a vivid audio experience. The result is a clear and accurate sound that delivers perfect highs and lows. 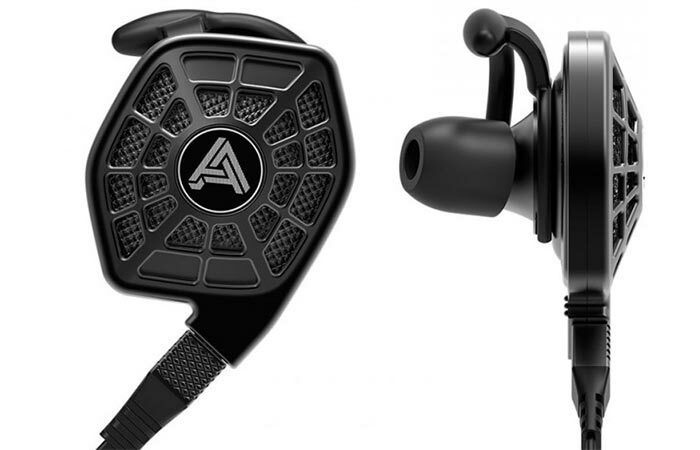 Not to mention that it weighs 20 grams, it is the lightest planar headphone set made. These ones come with four levels of noise cancellation. This model is the first one ever that combines the Lightning connector with CityMix adjustable noise cancellation. The noise cancellation feature has 4 different levels to choose from. The first one allows you to talk to people without having to remove the headphones, the second one lets you enjoy music with 60% outside noise while the third one is great in loud environments, leaving 30% outside noise. The last one, level 4 minimizes the background noise to under 10%. Libratone Q Adapt comes with 4 button controls- the hush function, play, pause, make and take phone calls/adjust the volume. The ear tips come in three different sizes and you can choose between four different colors. Comfortable fit and 24-bit audio. Here’s a pair of affordable on ear headphones. They are Apple MFi licensed & certified, working perfectly with iPhones, iPads and iPods. Probably the most important feature besides the one is it can play 24-bit audio is the comfort. They have a super comfy and soft leatherette foam pouches that fit perfectly to the ear. The control buttons allow to you to raise or lower the volume, skip tracks and pause the song. When you’re done using them, they fold up for easy storage. Powerful and sophisticated headphones from Philips. 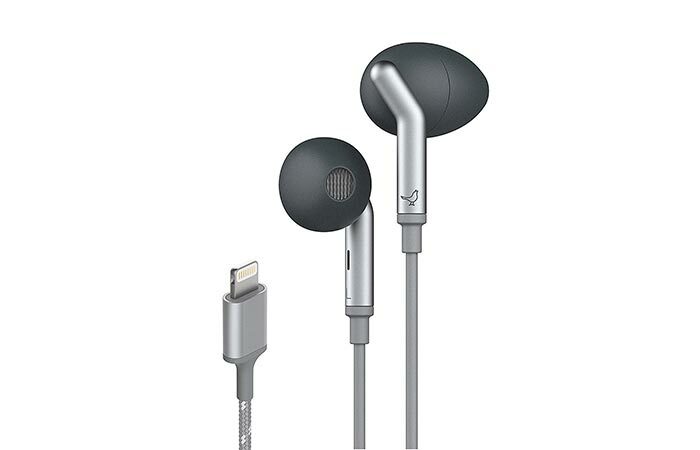 For the last lightning headphone, we decided to go with one more on ear set. 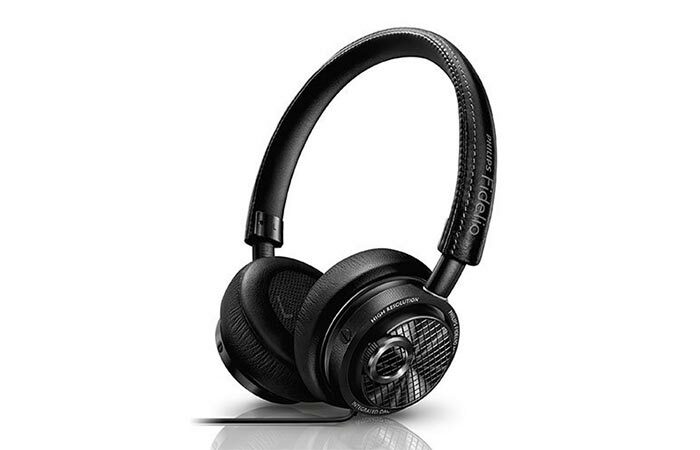 Philips Fidelio M2L/27 features a 24-bit 48kHz high-resolution audio format. It also has a digital-to-analog converter (DAC) integrated, allowing you to enjoy hi-res audio anywhere. 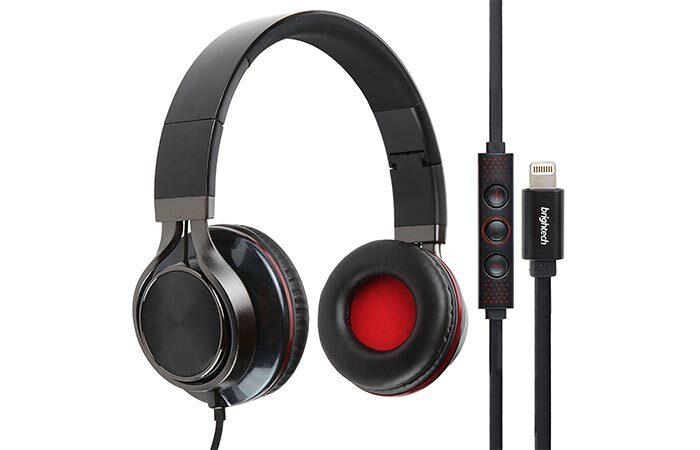 Speaking of the sound, these headphones use 40mm drivers with high power neodymium magnets that give you a great range of volume and sound while an acoustic seal prevents sound leakage and preserves sound details. Memory foam earpads are breathable and very comfortable. Also, aluminum and stitched leather details give it a premium look and feel. The headphones are packed in a nice suede pouch so you keep them safe and compact.